GM kept Opel to remain a global player, board chairman Whiteacre said. General Motors Co.'s board revisited its decision to sell Opel after European Union regulators questioned whether Germany had favored Magna International Inc. in a bidding contest for the U.S. carmaker's European operations, board chairman Ed Whitacre said. 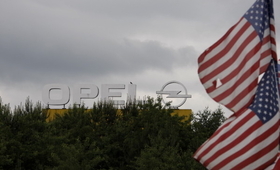 GM's decision earlier this month to keep Opel has angered German workers and politicians who had favored a sale of Opel to a group led by Canadian supplier Magna. The GM board had initially endorsed the sale of a 55 percent stake in Opel to Magna and its Russian partner Sberbank in September. Belgian investor RHJ International also bid to buy a majority stake in Opel. Some GM executives were reported to prefer RHJ's bid over Magna's because it offered GM the chance to buy back Opel at a later date. Whitacre said GM's board returned to the Opel issue in November after the EU competition commission raised concerns that Germany had tipped GM's decision in favor of Magna by offering financing exclusively to Magna in a bid to save German jobs. In October, EU Competition Commissioner Neelie Kroes wrote to the German government, saying GM should be allowed to reconsider the Opel bidding process because of indications that an offer of 4.5 billion euro ($6.71 billion) state aid was made only to Magna's bidding group. "The catalyst for all this was the EU saying you only made the money available to one investor," Whitacre said. "The board did what they should have done and revisited the issue." He added: "We had to ask ourselves how we could be a global player and not play globally." About half of Opel's 50,000 workers are based in Germany, including the complex at its Russelsheim headquarters that has spearheaded the engineering on key upcoming GM models. Whitacre defended GM's decision to keep Opel and its UK sister brand Vauxhall. "It's been a confusing decision, but I don't think it was handled badly," Whitacre said. "The circumstances changed from the time this started. The financial part of the business got better. Conditions have changed." Whitacre was speaking Tuesday in Texas. 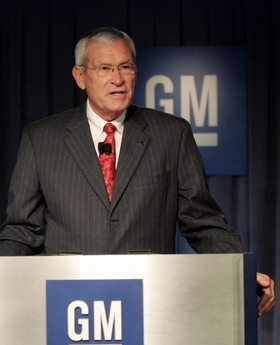 His comments were the most detailed he has made on GM in public since he became chairman of a reconstituted 13-member GM board when the automaker emerged from bankruptcy in July. GM Chairman Whiteacre said Opel decision was not badly handled.